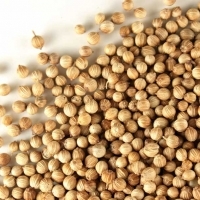 Coriander seeds have a health-supporting reputation that is high on the list of the healing spices. 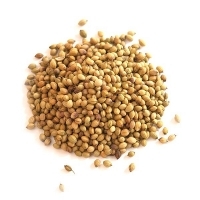 In parts of Europe, coriander has traditionally been referred to as an "anti-diabetic" plant. In parts of India, it has traditionally been used for its anti-inflammatory properties. In the United States, coriander has recently been studied for its cholesterol-lowering effects. 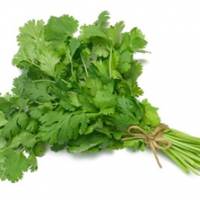 Coriander is known all over the world for its medicinal properties. It is a great source of potassium, iron, vitamins A, K, and C, folic acid, magnesium, and calcium that can heal many health issues. Short on time? 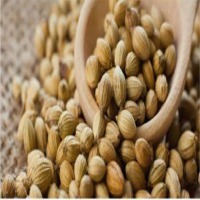 Let coriander-seeds sellers contact you. The coriander plant produces both a spice and an herb. The leaf is know as cilantro and when the plant goes to seed, we harvest the coriander seed. 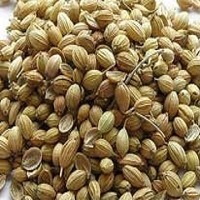 Coriander is a pleasantly sweet spice with a lemony top note. 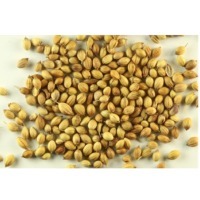 It is commonly used in chili and curry dishes Coriander seed has a warm and subtle flavour with a slight citrus hint. It has an aromatic scent that is soothingly warm, nutty, slightly fruity, and complex. 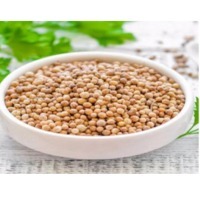 Coriander seeds are available throughout the year, in whole or in ground powder It is basically harvested in Rajasthan and Madhya Pradesh state of INDIA. 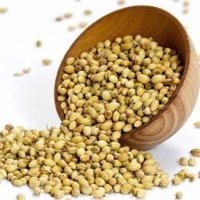 The harvesting season of coriander starts from March till May Coriander seed is a perfect spice with rich flavor and aroma which make it as a perfect ingredient for blended spices and curry powders. 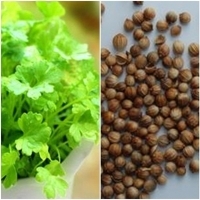 Coriander comes in different variants which varies on color and shape, the more bright green color seeds are considered as a finest and best quality, whereas the dark brown greenish color is considered as an average quality (powder quality). Here is the variants of coriander from top to bottom rank wise. 1) Double Parrot 2) Single Parrot 3) Scooter 4) Eagle 5) Badami These were the quality names of the coriander. 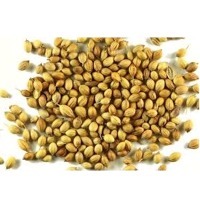 Specifications: Type : Coriander Part : Seed Product type : Single herbs and spices Style : Dried Processing type : Raw Moisture : 14% max. Admixture : 3% max. 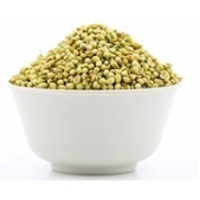 Coriander Seeds With thorough industry knowledge, we are engaged in manufacturing, supplying and exporting a wide range of Coriander Seeds. 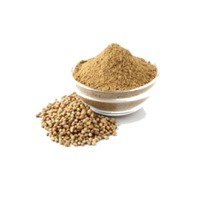 The seeds offered by us are used as an aromatic spice in various dishes to enhance taste and flavor. These seeds are applauded for their longer shelf life, medicinal and carminative properties. Moreover, we store these seeds in hygienic conditions to keep them free from dirt particles, molds or foreign material. 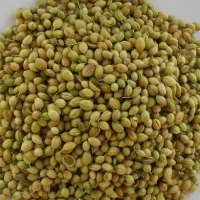 Coriander seed is one of the many indispensable kitchen spices around the globe. In Asian kitchens it is an essential ingredient of Masalas, Sambhar, Rasam etc. While outside of Asia it is used in pickling of vegetables, making sausages and rye breads and also while brewing the Belgian wheat beer. 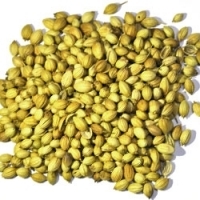 Botanical Name: Coriandrum sativum Indian Name: Dhaniya Other Names : Chinese parsley, Cilantro, Pak chee Drying: Sun Dried Cleaning: Auto Sortexed Specifications : Purity: 99% Admixture: 1% max Split: 5% Moisture: 9% max Total ash: 8.000 % max (dry basis) Volatile oil: 0.2% min Count: 70- 90 Seeds per gram Cleaning: machine cleaned GMO Status: Not genetically modified Packing : Primary : 25 Kg, 40 Kg PP or Jute Bags Container 20' HC (09 MT) 40' HC (20 MT) Stuffing in container :Manual stacking, un-palletized Source: India Port of Loading: Kandla, Mundra Inspection: SGS, Control Union or Customer specified agency [Optional : inspection fee extra] Harvesting: Coriander seed crop is harvested during January to March. 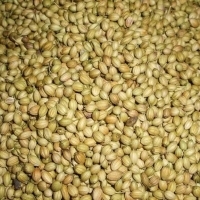 Coriander Seeds Coriander provided by M.K. International are good quality and pure which is used in food items to increase the flavour of food. These Corianders are processed under the supervision of experienced professionals without using any kind of harmful chemical. Our seed is widely used by our clients across the world to add flavours in variousdishes. Different Qualities : Whole and Split of Indian(Eagle, Scotter, Parrot) as well as Russian/Ukrainian origin. 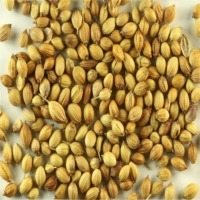 Coriander Seeds (Coriandrum Sativum) Among one of the first spices used by mankind, coriander seeds, of coriandrum, sativum, which belongs to the parsley family. 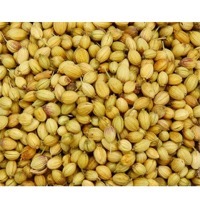 The coriander seeds are almost round in, shape and brown to yellowish red in colour., It is a fragrant spice, with a mild, distinctive taste. It is widely used as a condiment in, foods, beverages, marinades, desserts and sweet pastries and also in American, cigarettes. It also has a great medicinal value., In India it is cultivated mainly in Gujarat, Rajasthan, Tamil Nadu, Andhra Pradesh,, Madhya Pradesh and Uttar Pradesh. 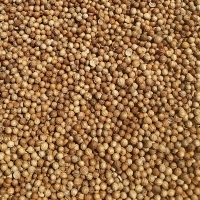 Specifications :- Type : Whole Coriander Seeds Purity : 99%,, 98% Split : 5% Max Moisture Live Infestation : Nil Look forward hearing from you soon.